Working in an office with pending deadlines and frantic co-workers can feel like a mad house sometimes. Naturally, someone would eventually take that notion and run with it. 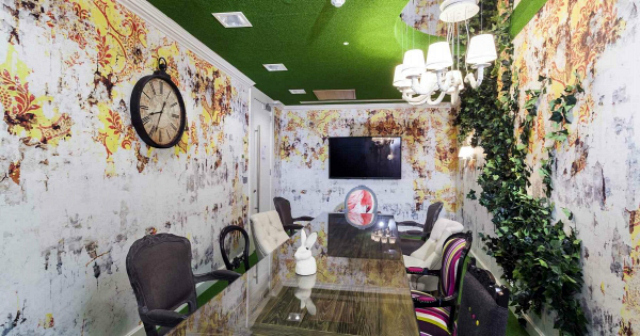 This Alice in Wonderland themed office in Waterloo, London shows how a quirky concept can be turned into a reality. 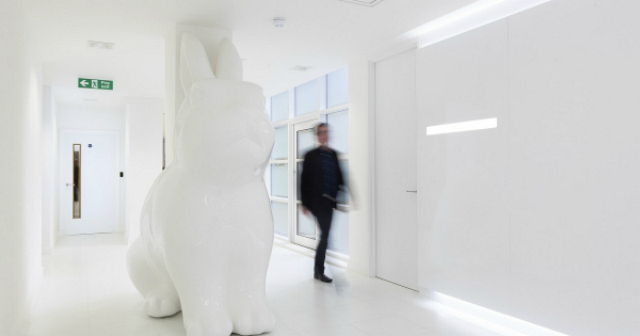 Designed by Peldon Rose they took classic references from the classic tale and created a pretty wacky but playful (and non-traditional) office space. 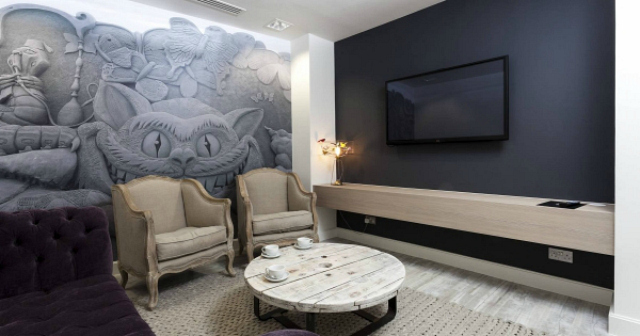 From the stripes, to an overgrown Alice and the Cheshire Cat, the six themed meeting rooms encourages creativity and productivity. 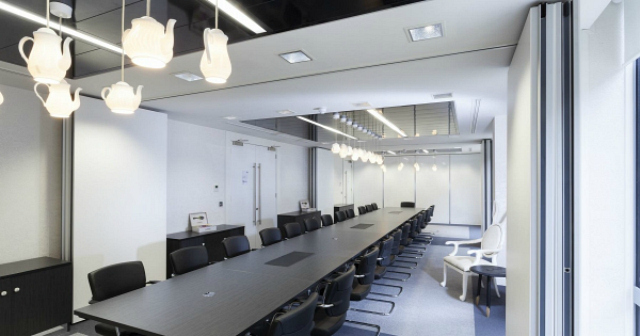 We've heard (and seen) fun office spaces from the likes of Google, Facebook and other tech start-ups so it goes to show that being in an office doesn't have to feel like this. 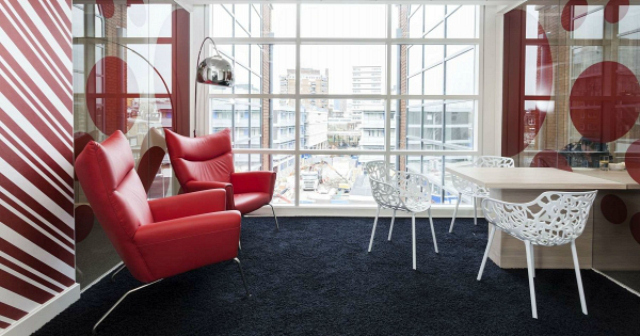 If my office looked like these, I would never leave. 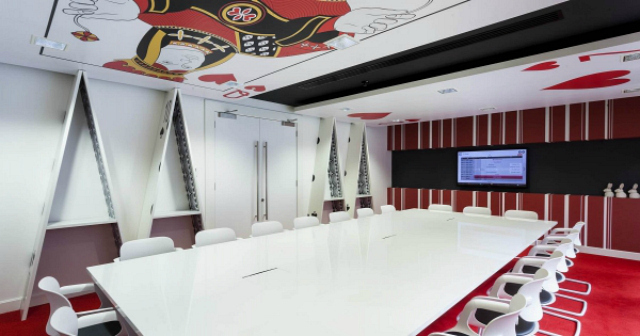 Oh my word, if only an office looked like this...it wouldn't be a chore to be at work! 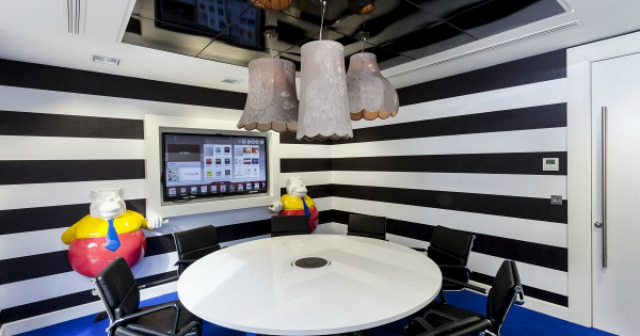 Cool office! I'd love to work in here!! How fun! 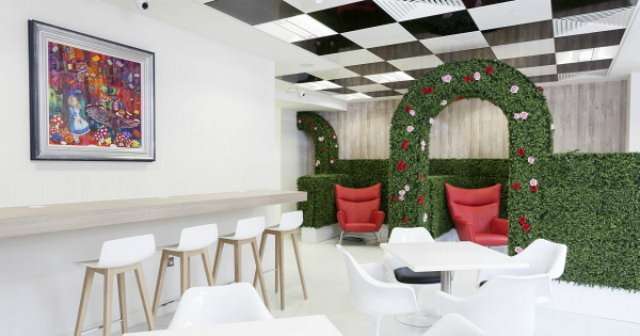 A great environment for fuelling creativity. 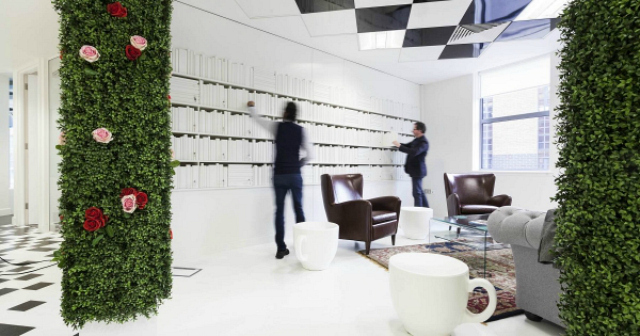 These are definitely not drab boring office spaces. I am in heaven! This is so superb! This would be such inspiration to work. I love anything Alice in Wonderland. 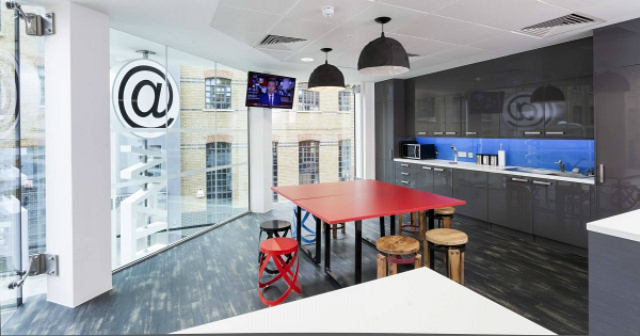 Wow omg how I wish our office would look like one of the above! It must feel awesome to work in such a place! oh my gosh! how amazing! !